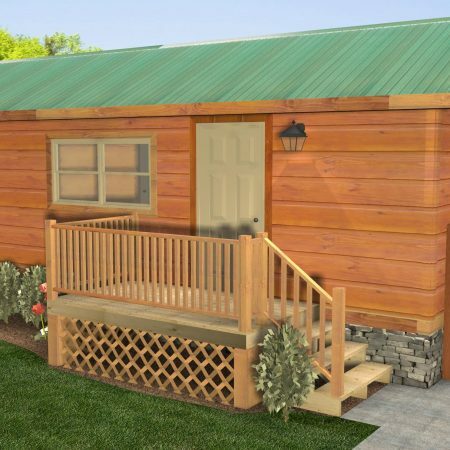 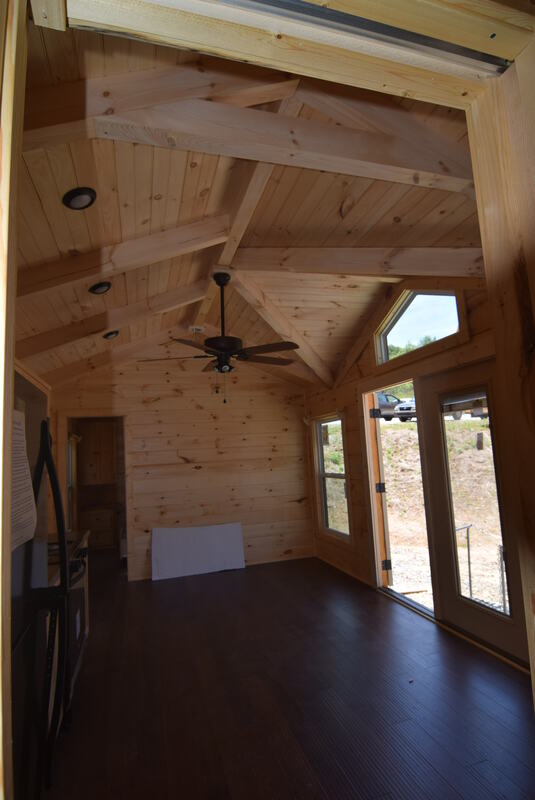 This is one our more poplar plans for campground and small families. 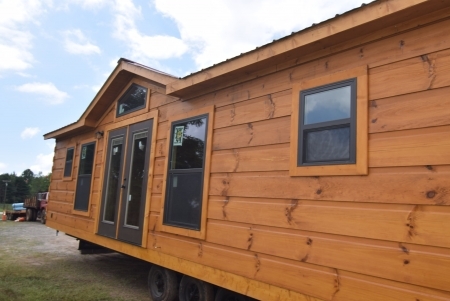 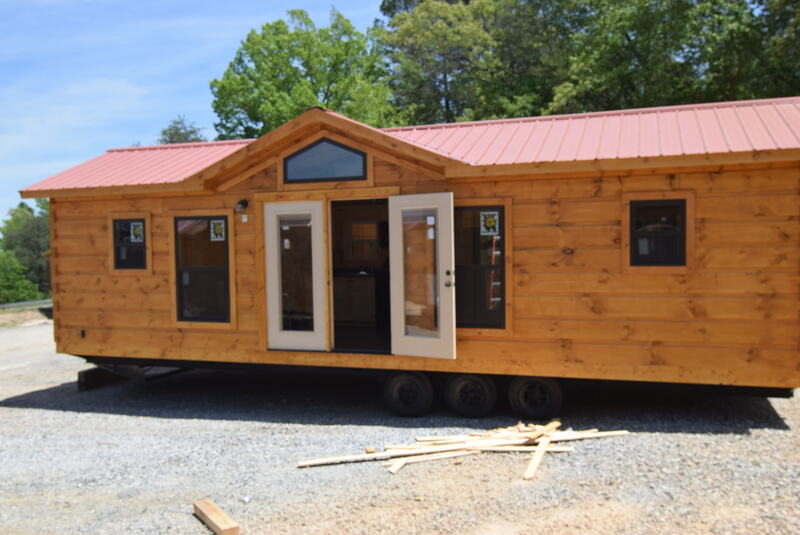 Options include: A curb appeal friendly Tri-Angular Gable window centered symmetrically over the door, 5:12 roof pitch with a 45 year metal roof, Full size whirlpool appliances, (2) coat long lasting stain, Luxury plank flooring, Led recessed lights, (2) bunk beds (seperate room), full bath with 48″ shower, 100 amp panel box, 50/50 stainless steel sink, Laminate counter tops, medicine cabinet, belly receptacle, (2) ext. 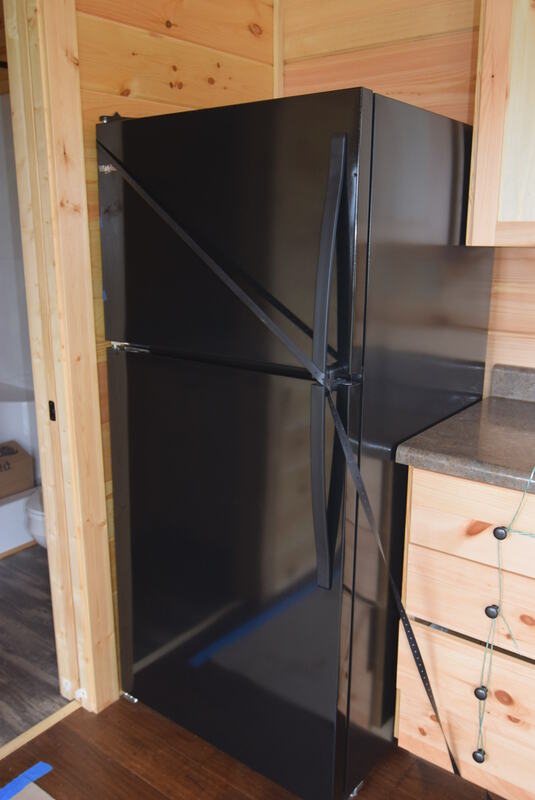 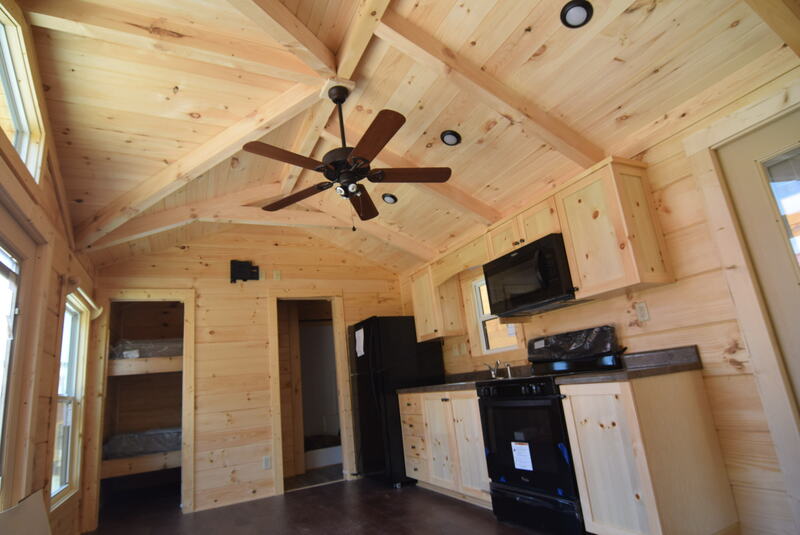 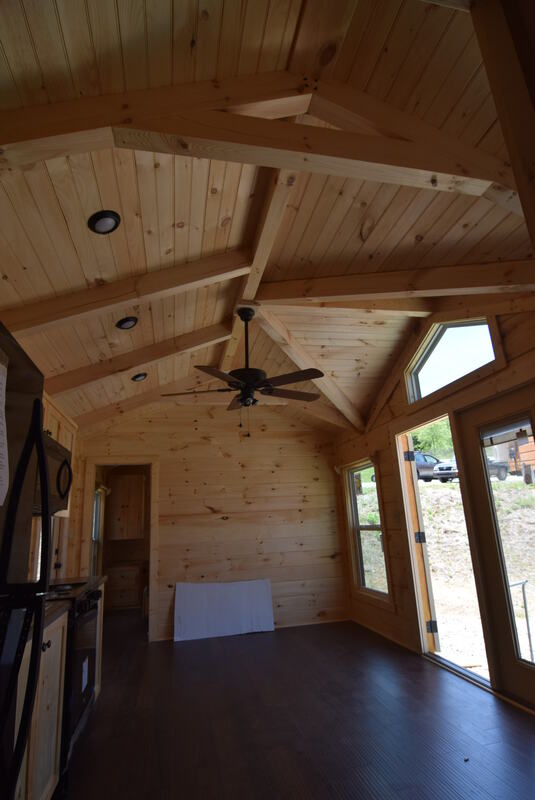 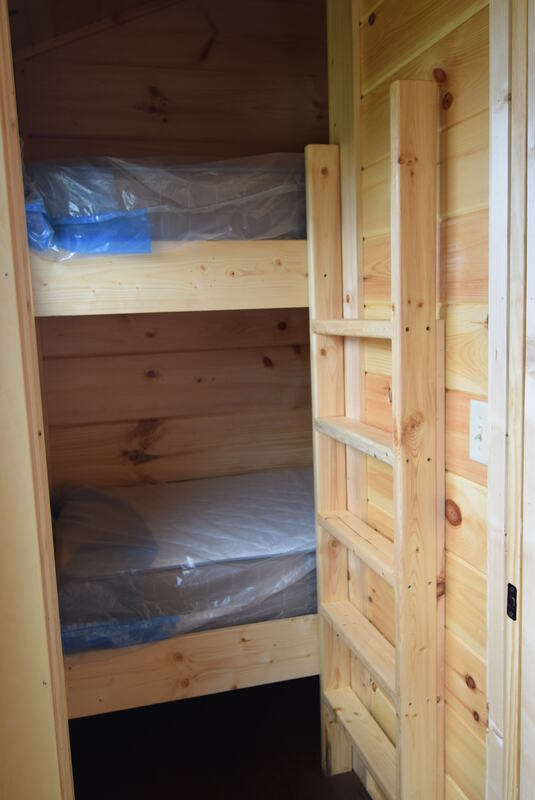 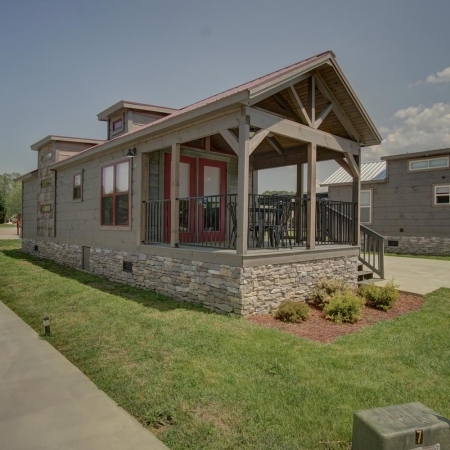 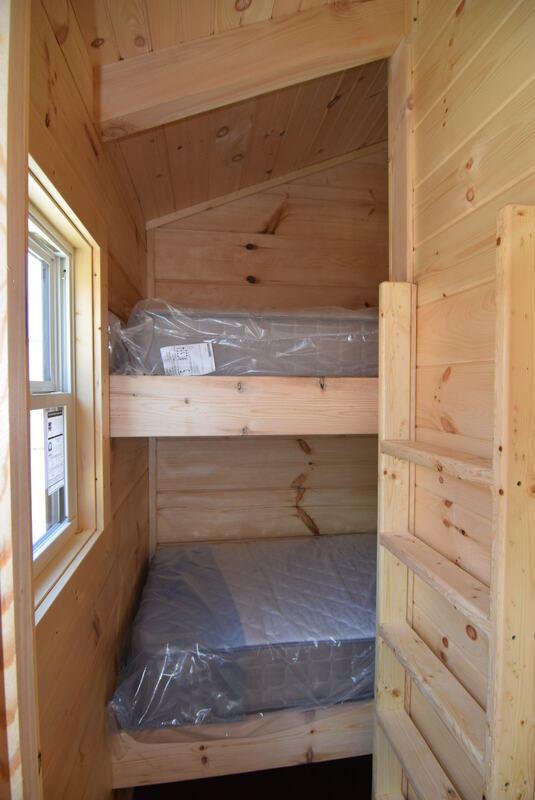 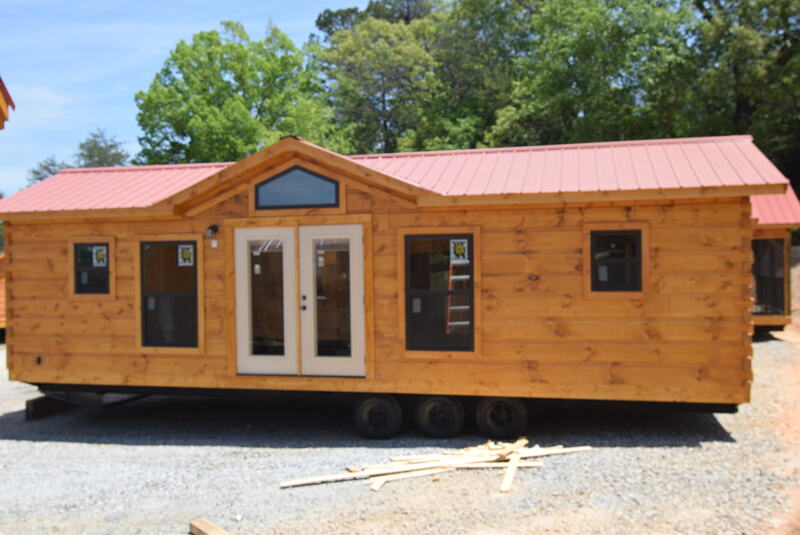 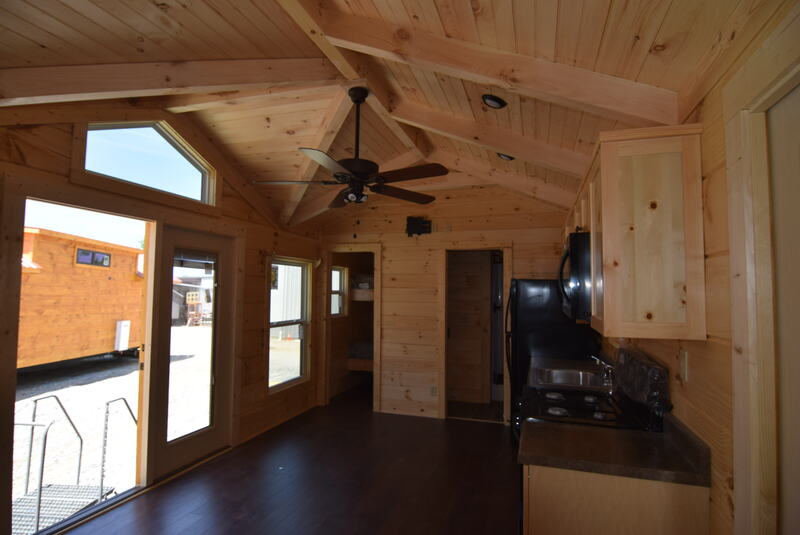 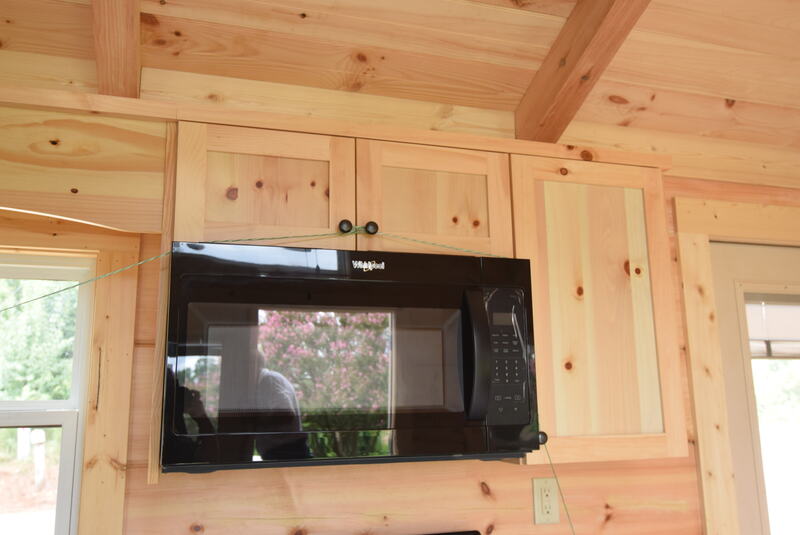 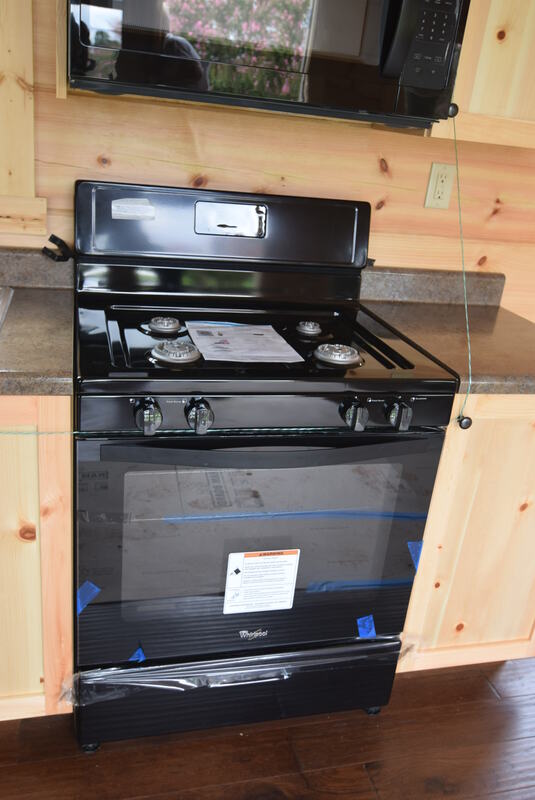 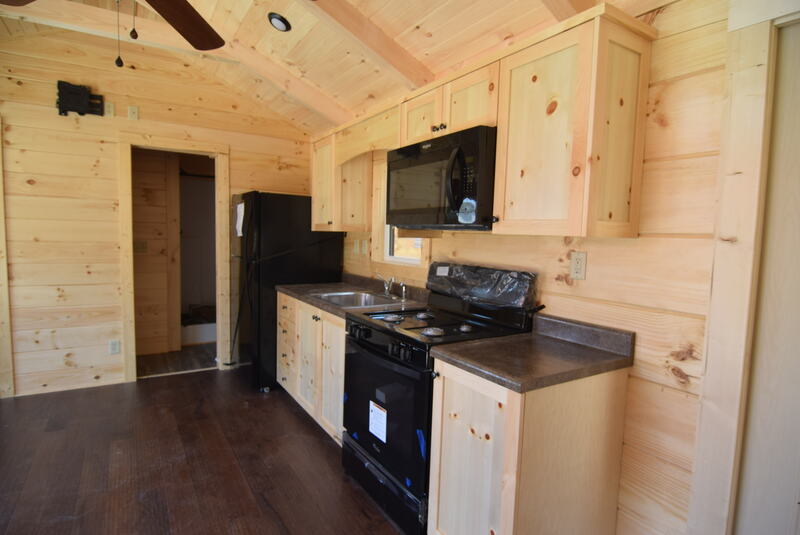 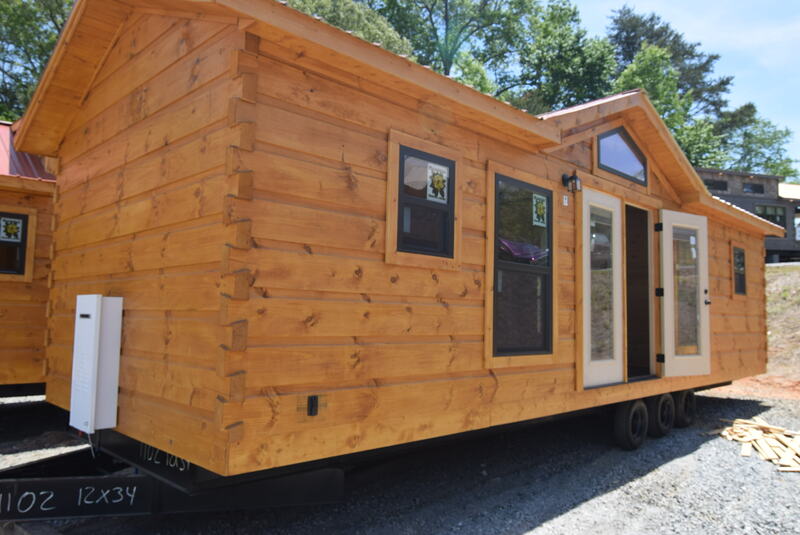 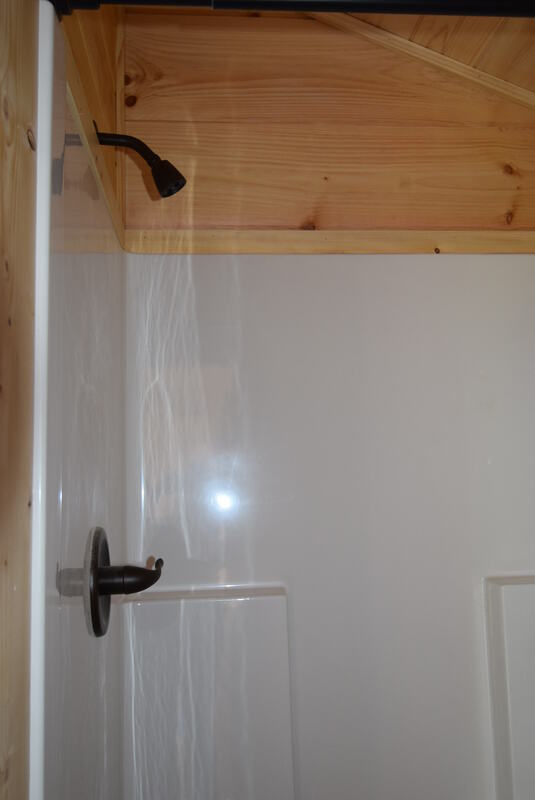 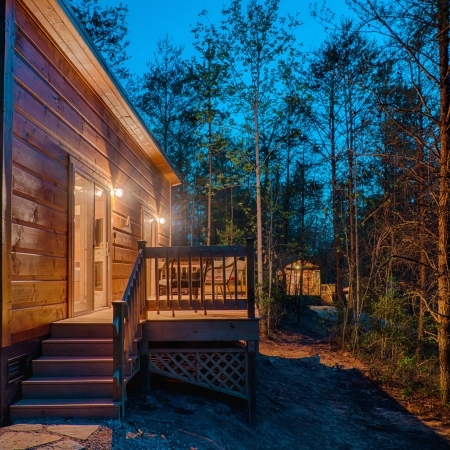 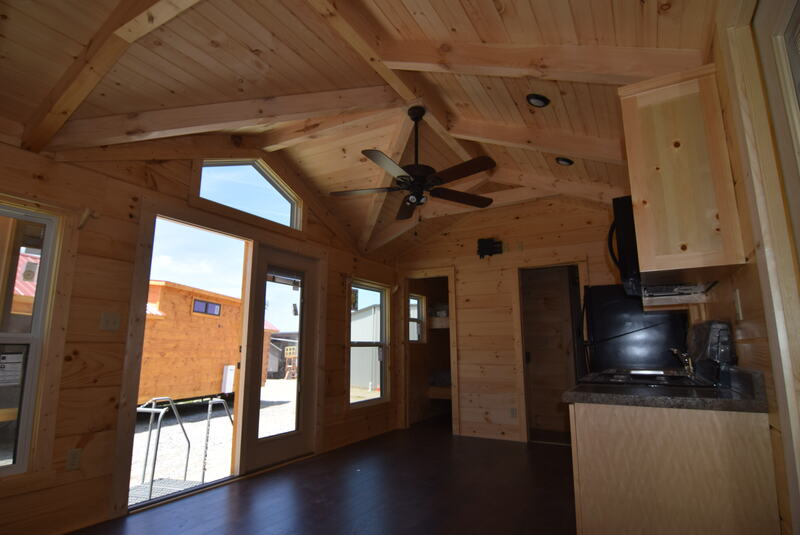 GFI outlets, Frost Free Faucet, Winterizing valve, Low e vinyl windows with screens and curtain roads, Radiant roof insulation, 1/2 glass door w/mini blinds, 28 gallon water heater, Queen bed base w/ (2) 24″ split wardrobes. 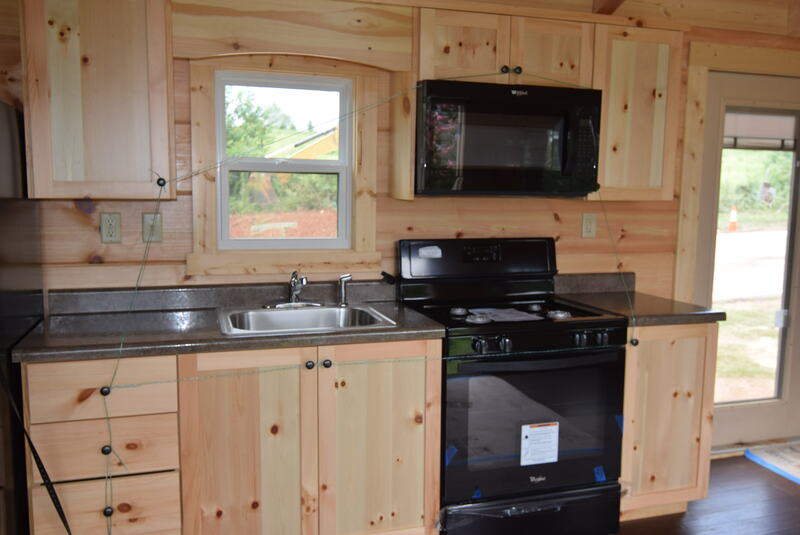 Available options: washer dryer, 2″ faux wood blinds, 12″ slide out pantry, 18″ pantry, Gas tankless water heater, Shed dormer option, upgrade lighting and plumbing packages, Granite or Solid surface options, shower glass door optoin, Upgraded heat pump options, sink options, Bedroom and bathroom storage options, stain cabinets and rafters.